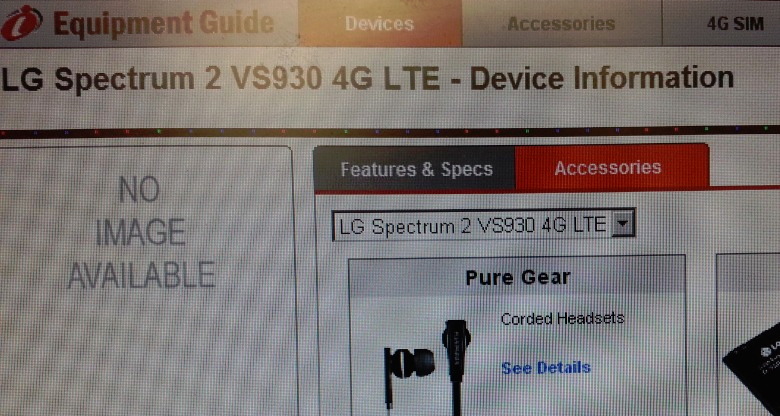 While the original Stratosphere is in line to get a kinda-sorta ICS-esque update, it looks like its successor is already in the pipeline for VZW. 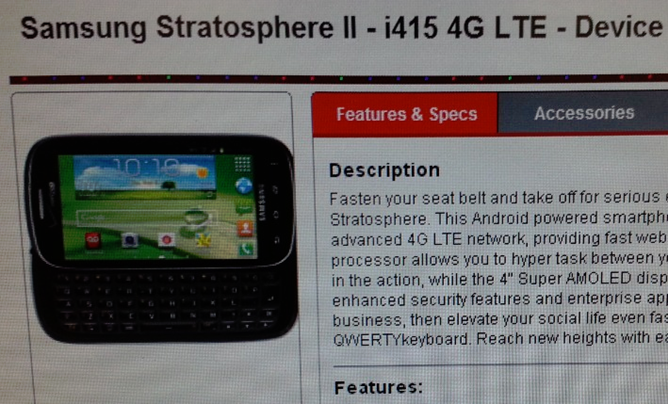 Unoriginally dubbed the Stratosphere 2, the device carries the same slide-out QWERTY and 4" Super AMOLED display as its predecessor; other than that, details are pretty non-existent. We probably wouldn't be too off base to assume it'll have some sort of dual-core processor and around 1GB of RAM, but past that, it's hard to say. The Stratosphere isn't the only mid-range device getting an upcoming re-hash, either. The LG Spectrum 2 also landed in Verizon's equipment guide, but this one's even more mysterious than the Strat 2. It doesn't even have a picture! According to Droid Life, the Spectrum 2 should be packing a 1.5GHz Snapdragon S4 dual-core processor, 1GB RAM, an "HD" display, and 8MP rear shooter. So here we are - two new follow-ups to a couple of last year's mid-rangers. I hate to say it, but it just hard to get excited about any mid-range device these days.